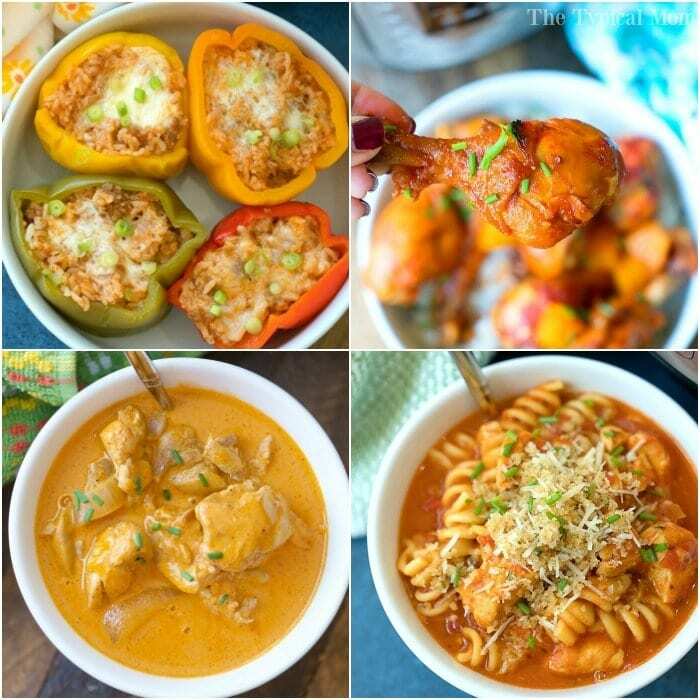 101 + Easy Instant Pot recipes that are simple and delicious! 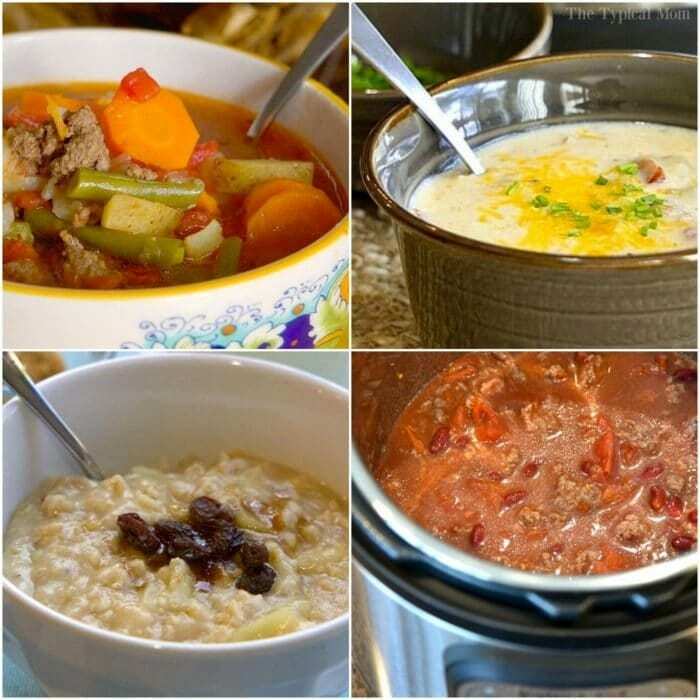 Simple dinner, soup, side dish and vegetable recipes we make in our pressure cooker. Whether you’re new or an expert we’ve got something new to try. It will speeds up your cooking and you can even make dessert! 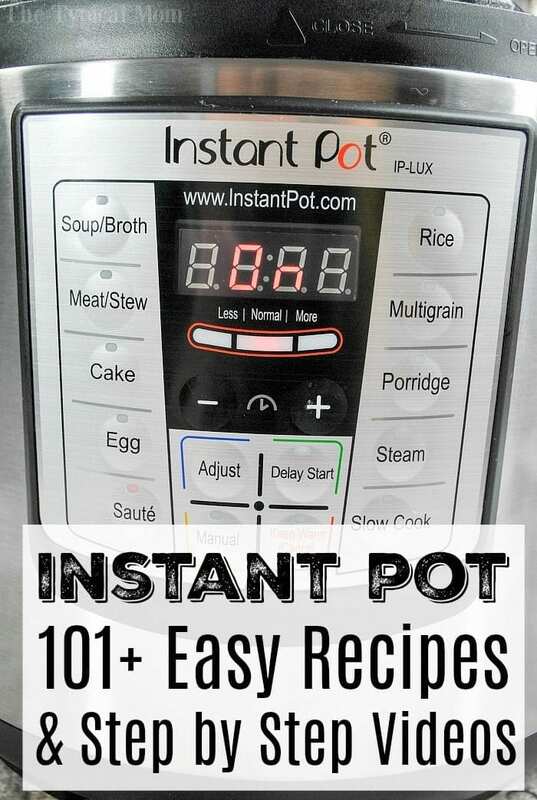 How can you save this page so you can refer back to it easily and find easy Instant Pot recipes?? Then look on your home screen(s) and your new free Instant Pot APP will be there so you can just click on it whenever you need a pressure cooker recipe!! We will continue to add to this post weekly so make sure to PIN THIS PAGE and BOOKMARK IT on your desktop for future reference. This fancy multi cooker has helped me make many of these recipes below, here are my Instant Pot accessories must haves! 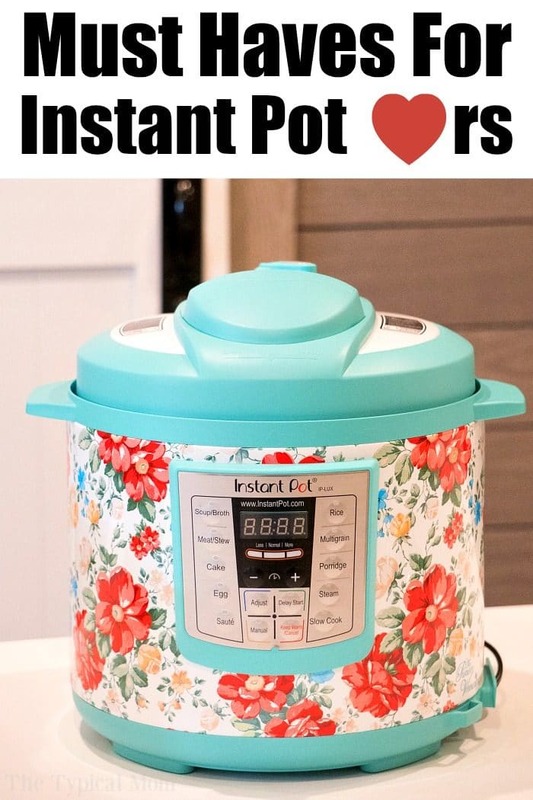 My new Pioneer Woman Instant Pot – SO Cute! Angel food cake pan that fits inside a 6 or 8 qt. IP, if that is out of stock this 8″ pan will fit in an 8 qt. If you’re looking for an IP decal these are super cute! To ensure you get those first sign up for my newsletter and they’ll be emailed to you. 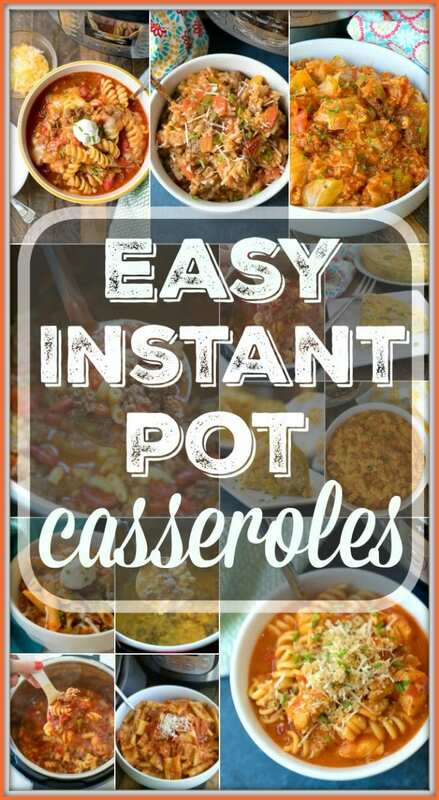 You can also LIKE Easy Instant Pot Recipes Facebook page where I share my new ideas. 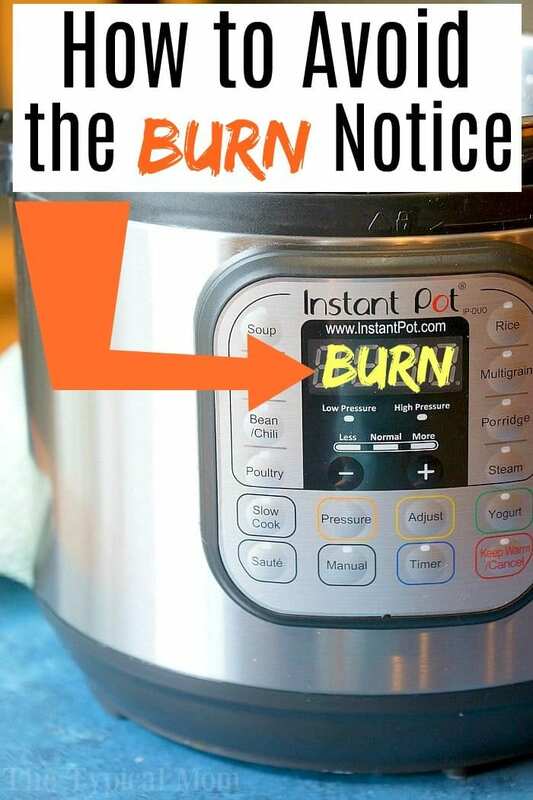 If you’re new you’ll also want to see how to avoid the notification of burn on Instant Pot machines. Sometimes it isn’t burning at all. Here are instructions on how to deglaze your Instant Pot to help! 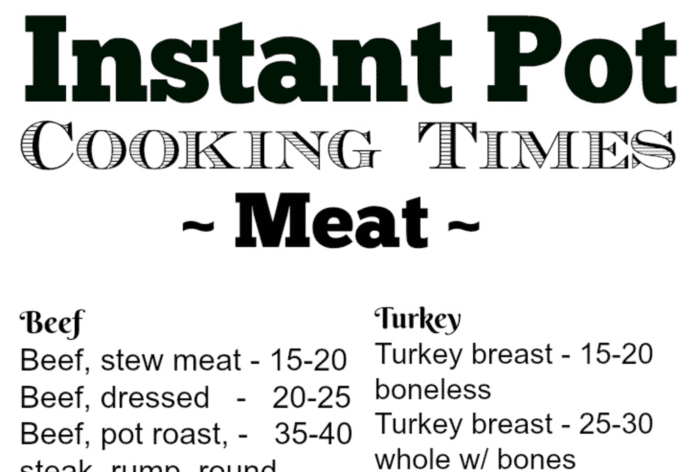 Lots of other tips are here too like this handy free printable with Instant Pot cooking times. It helps figure out how to cook pressure cooker frozen chicken wings as well as the directions for frozen chicken in the Instant Pot. Both can come in really handy when you don’t have any fresh meat in the house (or don’t want to go to the store). Here is a video explanation of the buttons on your Instant Pot! Here are a few of our favorite easy Instant Pot recipe ideas + a video above showing how we made them (links to directions below)! 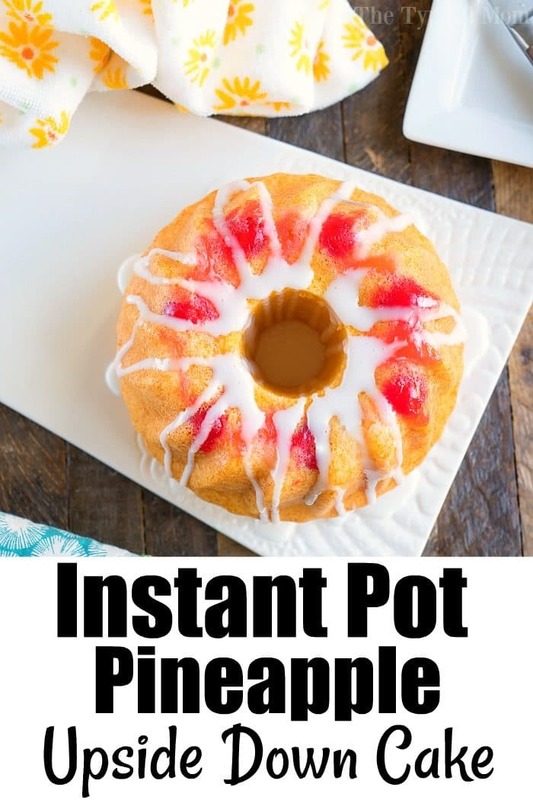 I will start with our most popular Instant Pot recipes! Of course we have a lot of meals done in 30 minutes, but I have received the most compliments from these. Keep reading for more though! Have you tried this Instant Pot popcorn? Pressure cooker jam can be made with any fruit and put on toast or on top of pancakes! Have you tried these Instant Pot grits ? 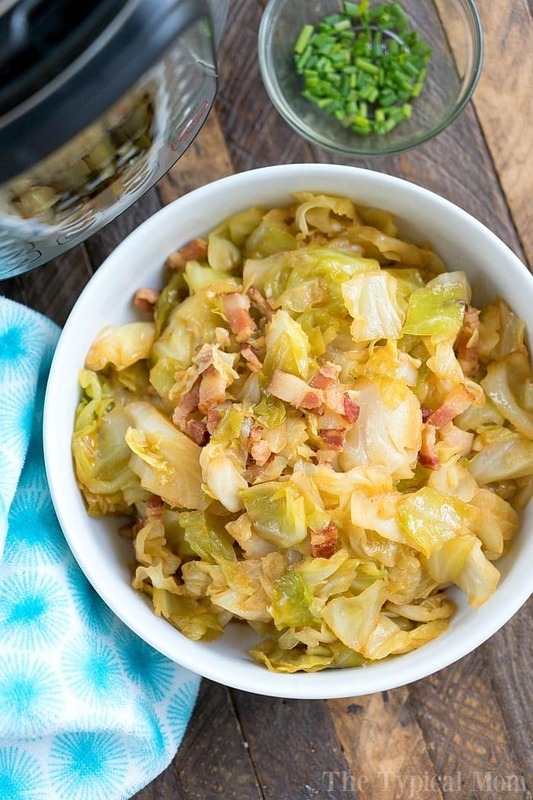 Once you’ve tried a few of these we will go on to share some Instant Pot side dishes too. 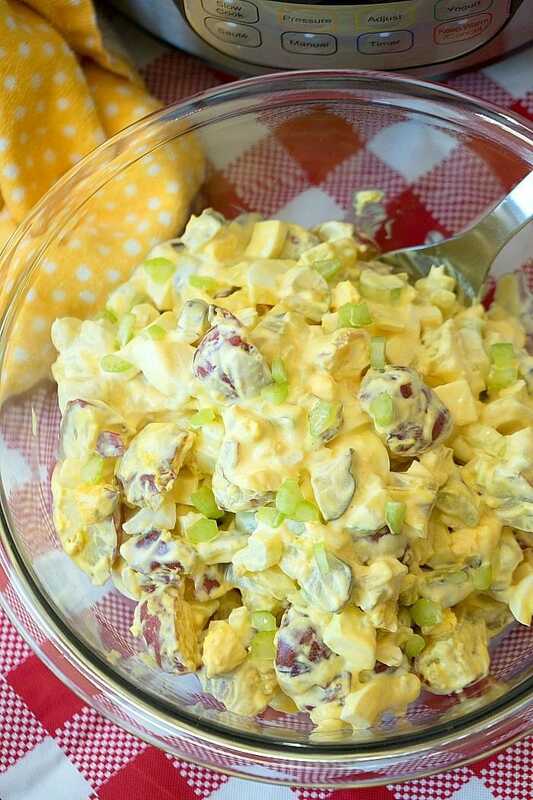 Great if you have a get together or a chicken in the oven and need something to serve with it. I was brand new to using dry beans in the Instant Pot until I made a few of the recipes above as you see. I just used the Instant Pot cooking times for beans and I was amazed at just how easy it was. Now I use dry beans in my pressure cooker if at all possible because homemade that way has never been easier! 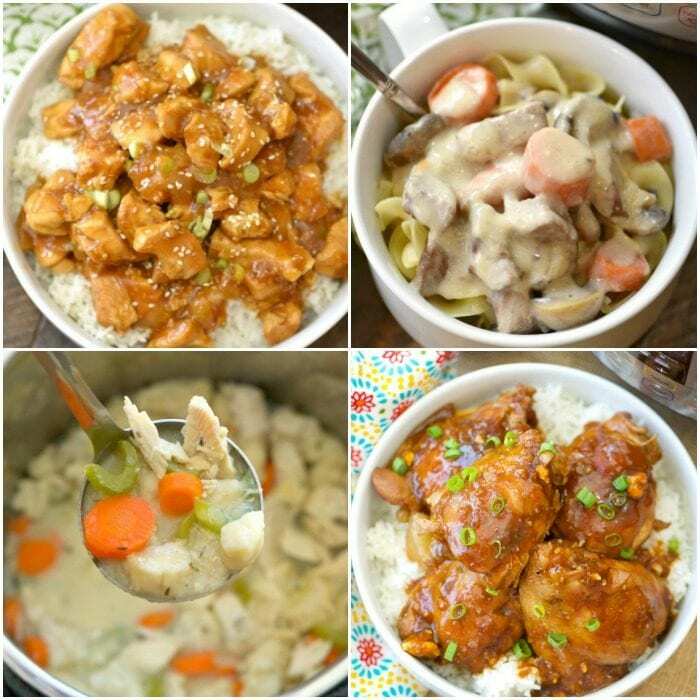 If you have kids our Instant Pot casseroles are a huge hit amongst everyone. 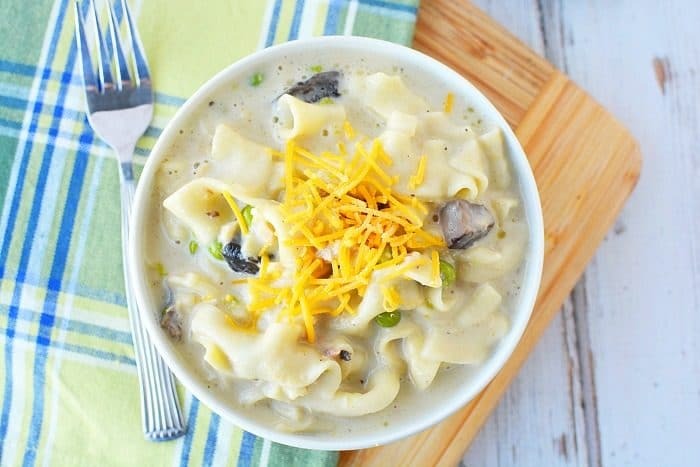 And don’t forget to make a few of our Instant Pot soup recipes too when the weather cools down! We have much more than just chicken broth. 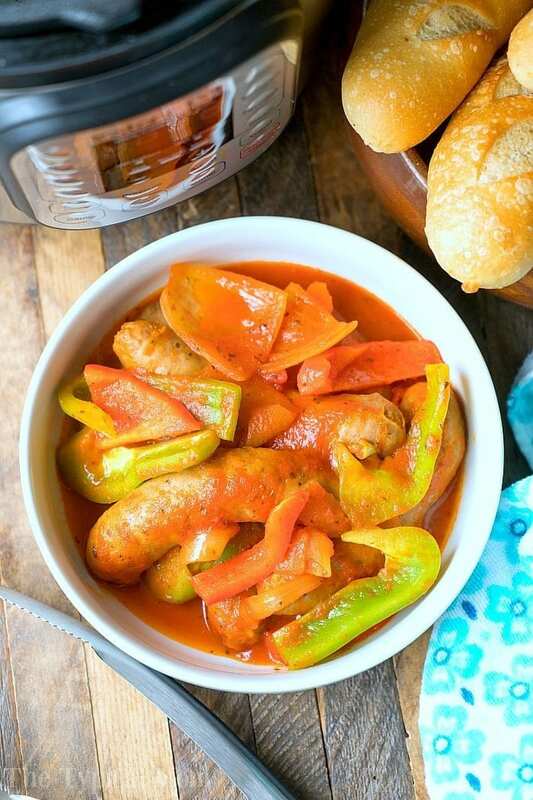 Instant Pot sausage recipes are always a hit! Whether you have ground spicy sausage, regular, or links these are super yummy and of course easy. 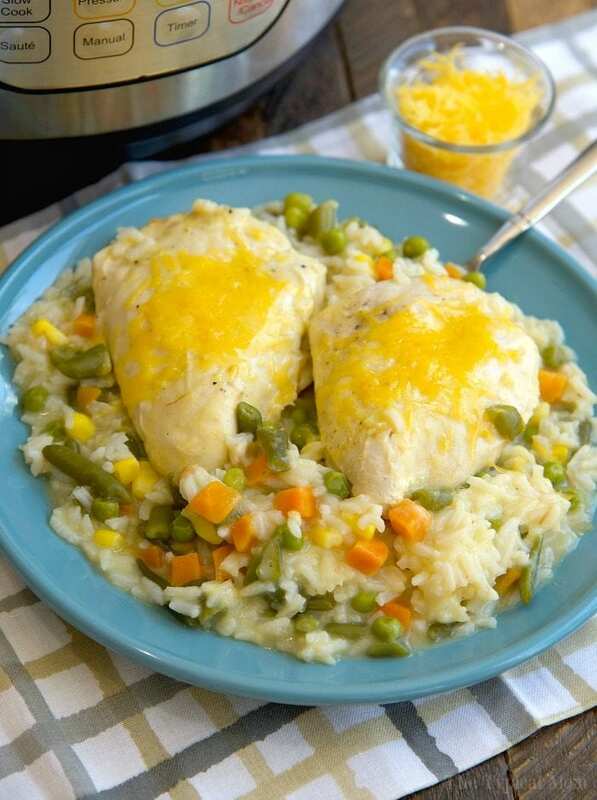 If you’re eating healthier this list of pressure cooker fish recipes are always helpful. 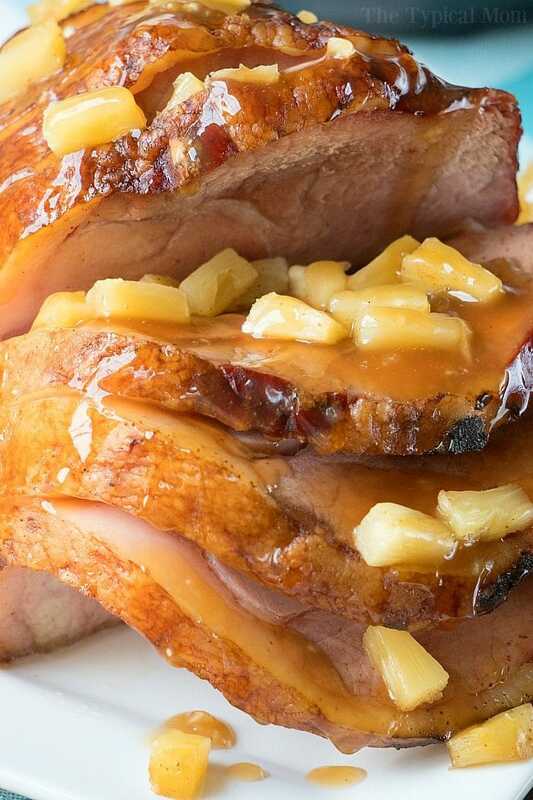 If it’s holiday time check out our Christmas and Instant Pot Thanksgiving recipes. Now if you’re in a real hurry (me usually) I made a list of easy 3 ingredient Instant Pot recipes for those hectic days. Or when you want something really inexpensive for dinner. You wouldn’t think that just a few ingredients could make a delicious and healthy meal. We’re here to show you how many can. 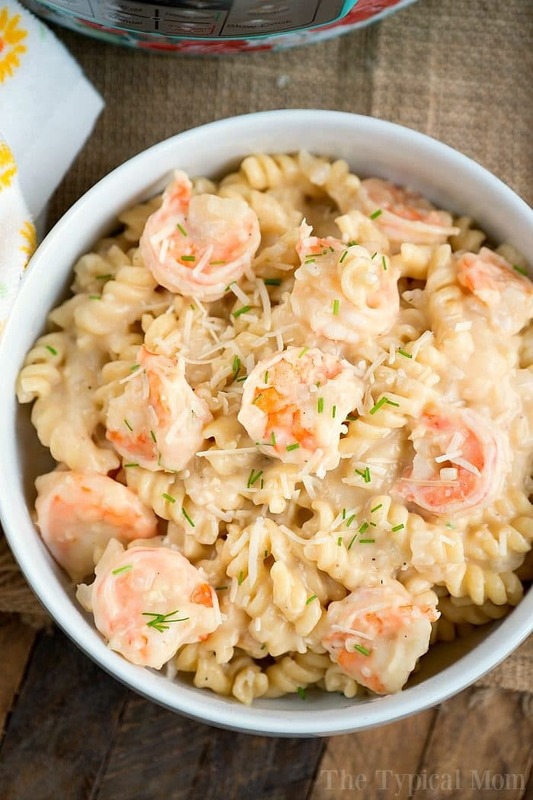 They’re our favorite go to meals during the week! Great for meal prepping too. I have yet to use this as a yogurt maker but that is my next quest. I’ve heard it is easy and comes out really delicious. 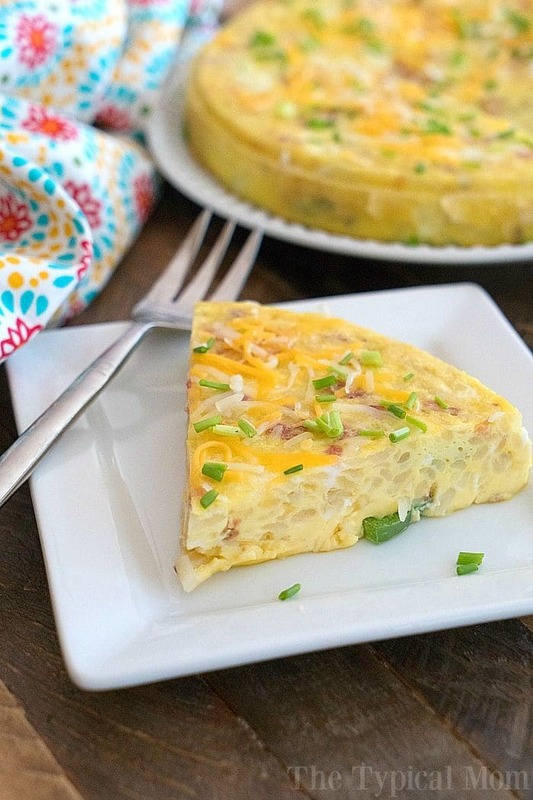 I am always adding new breakfast and Instant Pot dinner recipes each week so keep this post handy when you need a few new ideas! 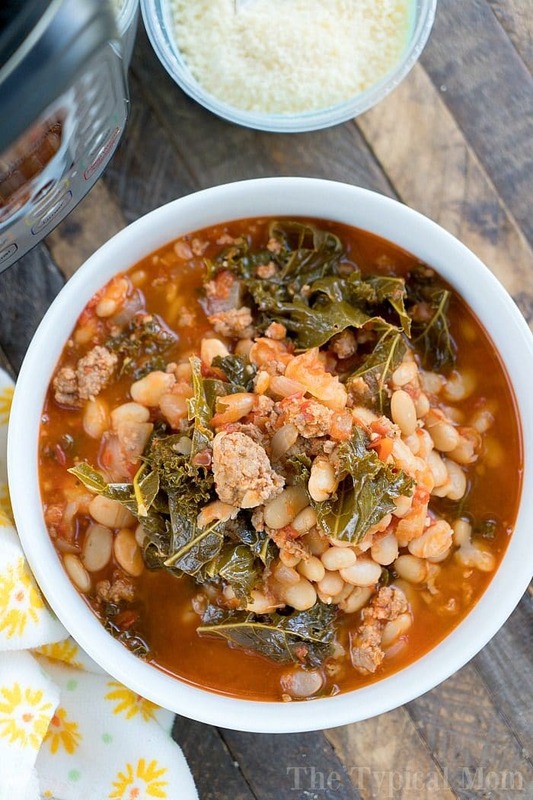 More easy Instant Pot recipes are on the way…..
No soak Instant Pot baked beans get rave reviews. 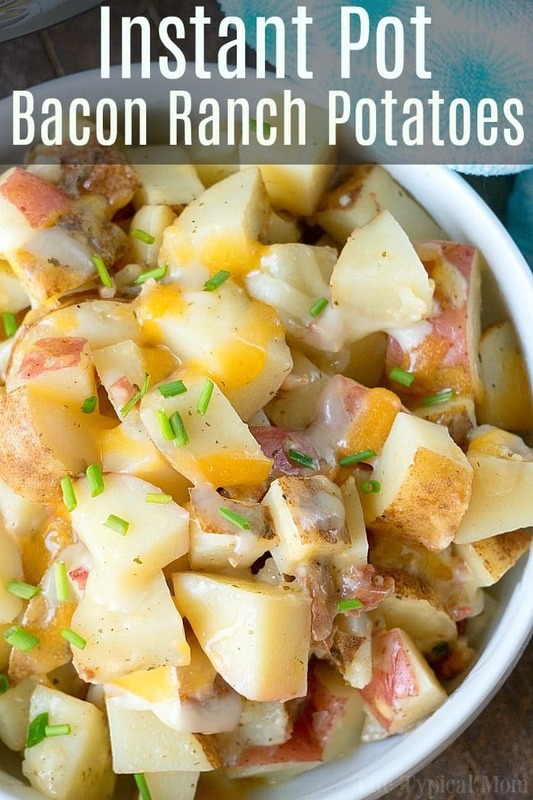 Great side dish to a pot roast. Basic Instant Pot white rice – recipe for cooked rice but is much easier than the stovetop method. Something we eat several times a week! 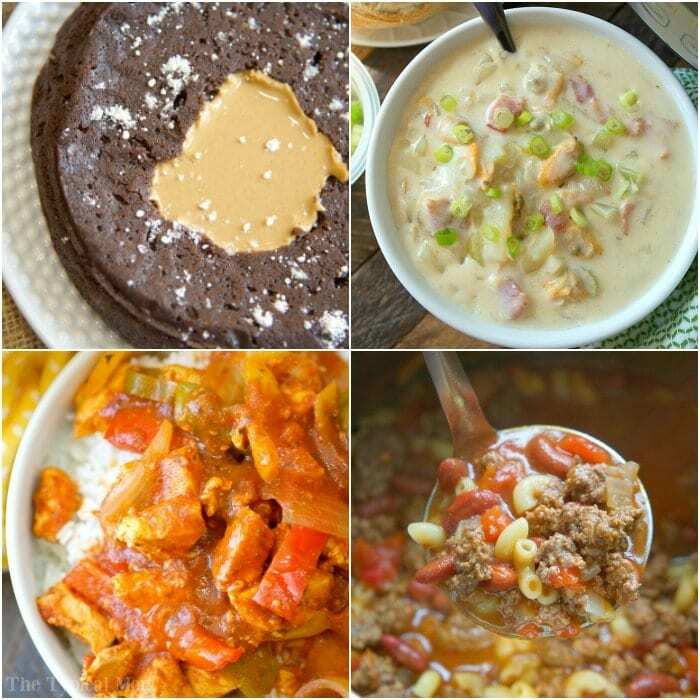 Of course there are so many easy Instant Pot recipes we love and have created over the years. But it’s nice to find what you need according to the category. Kid fave Instant Pot cocktail wiener recipe and pressure cooker corn dog bites! Now if you are ready to go full force and use it daily I have a free printable menu full of 30 simple Instant Pot recipes for you. Cook something new every day I say! 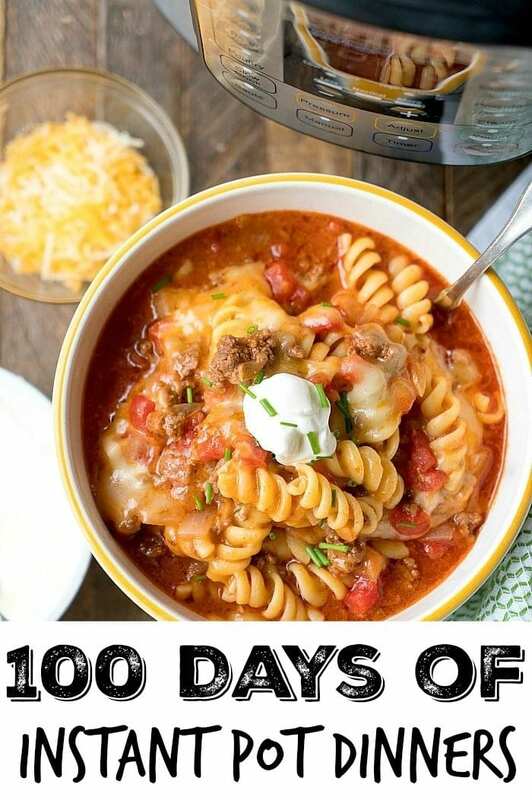 Just print it out, put it on the fridge, and each day come back to this page to grab the recipe you need for that day. They are all listed here and will be updated with new electric pressure cooker recipes each week too. My Instant Pot spaghetti recipe was the first one I created and is usually what people start with. I would suggest starting with that one if you are a newbie or are needing a really quick dinner. Then you can graduate to other things using a few accessories. Once you make 3-4 things you’ll feel like a pro I promise. 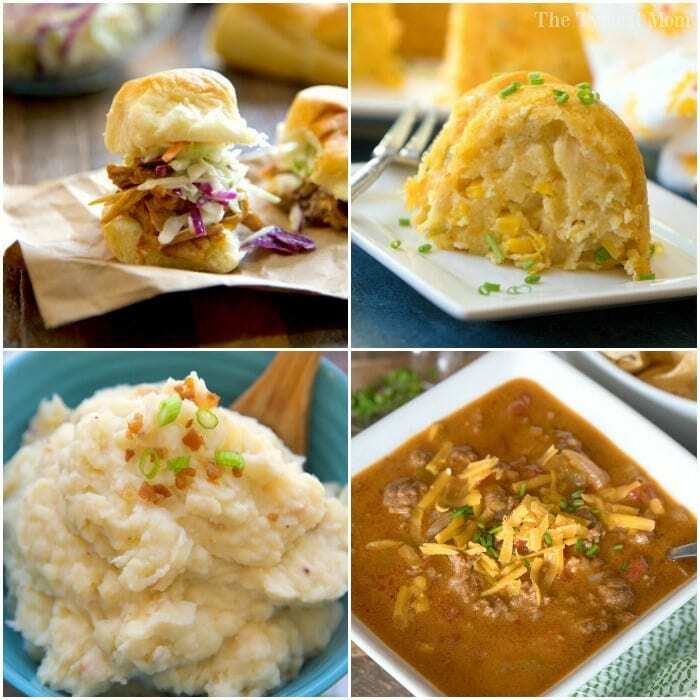 There are so many great pressure cooker recipes around and I hope we are able to add to your list of favorites. 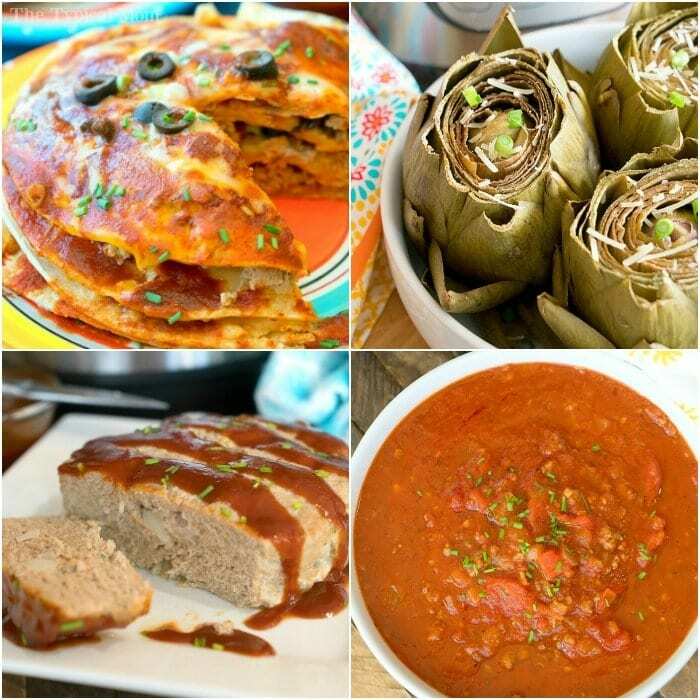 We have a few great pressure cooker dinners below too, let us know which is your favorite. A pressure cooker is great for college students too! I created this cookbook for college students with some of my easy recipes they can make in their small apartment or dorm room. 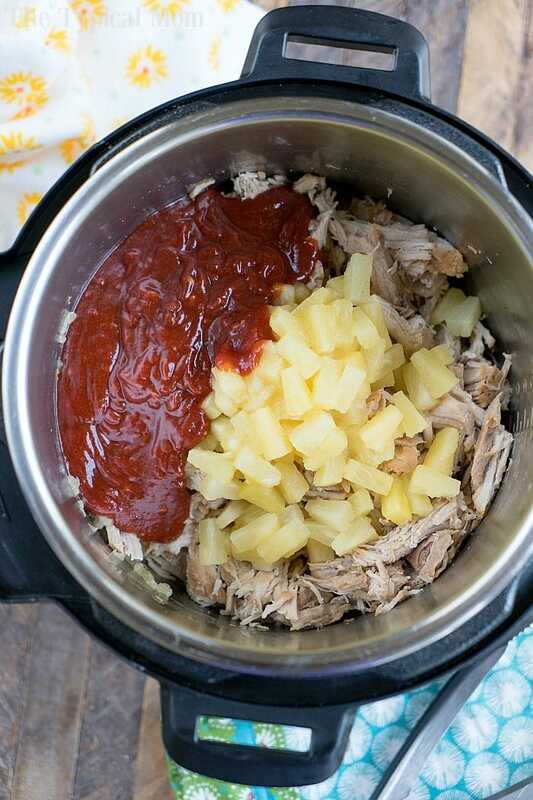 This Instant Pot Hawaiian pulled pork is great to make sliders. Our is the most amazing Instant Pot pulled pork recipe you will ever try. Or you may be looking for an easy pressure cooker shredded beef for tacos! 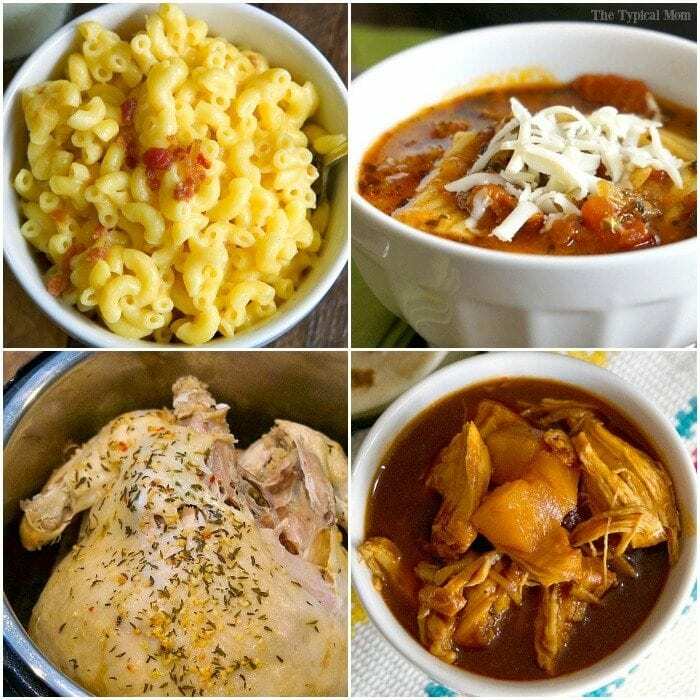 Many of your favorite crockpot recipes can now be made in the Instant Pot too, just much faster! 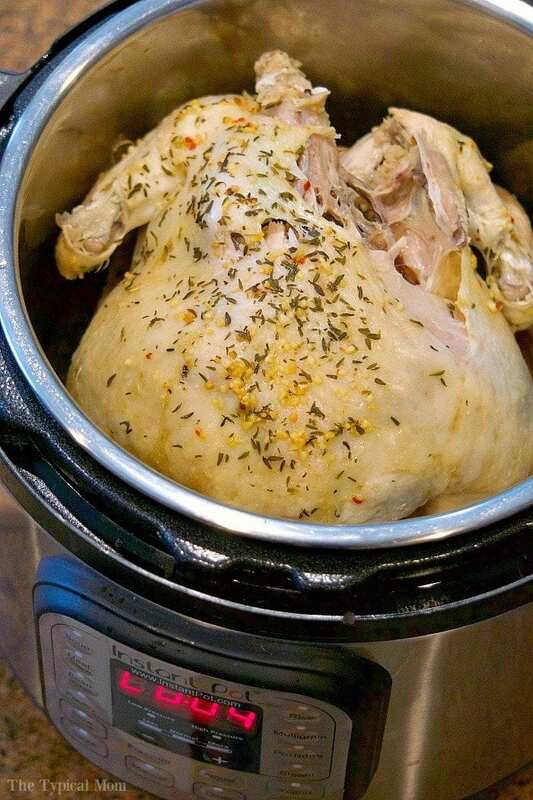 Easy Pressure cooker frozen whole chicken is handy when you’ve forgotten to defrost dinner! We make our 5 ingredient crockpot chili recipe almost weekly and normally it takes 6-8 hours but we made it in here and it was done in 45 minutes or less! On that one I still prefer a slower cooking to seep in the flavors so I set it on the slow cooker setting but that is done in just 4 which is quicker AND I can skip precooking the beef in it by using the saute function. 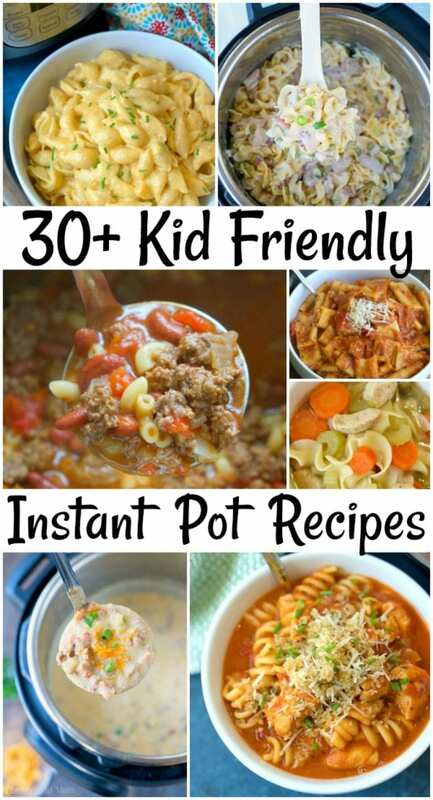 I love it….and have now created a roundup of easy Instant Pot beef recipes too. 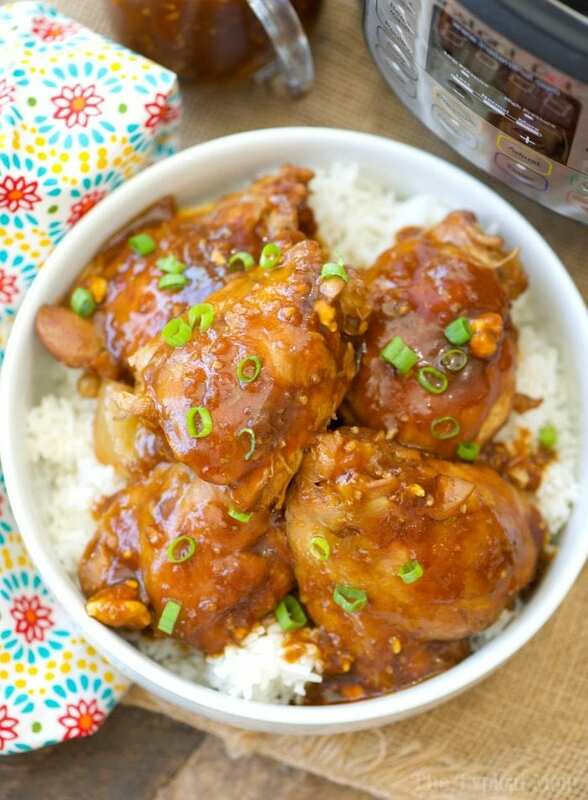 My Instant Pot butter chicken has been a hit too. I firsts tasted this popular Indian dish when I was in Utah and it was amazing. I tinkered with it and came up with a version that reminded me of that dinner. Pressure cooker sausage soup is packed with tons of flavor. More pressure cooker dinners below……..
Do you see these ribs below…they are amazing!! The tenderest ribs I have had in just 25 minutes, I just couldn’t believe it. I used to slow cook them but not anymore. This is the way to go! You can either eat right away, or put them under the broiler for just a few minutes to get just a tad of crispiness to the outside. Stuffed peppers has always been a favorite meal, and using one of my favorite vegetable steamer baskets they’re quicker than in the oven. I have made a few yummy Instant Pot desserts that are below, like monkey bread!! 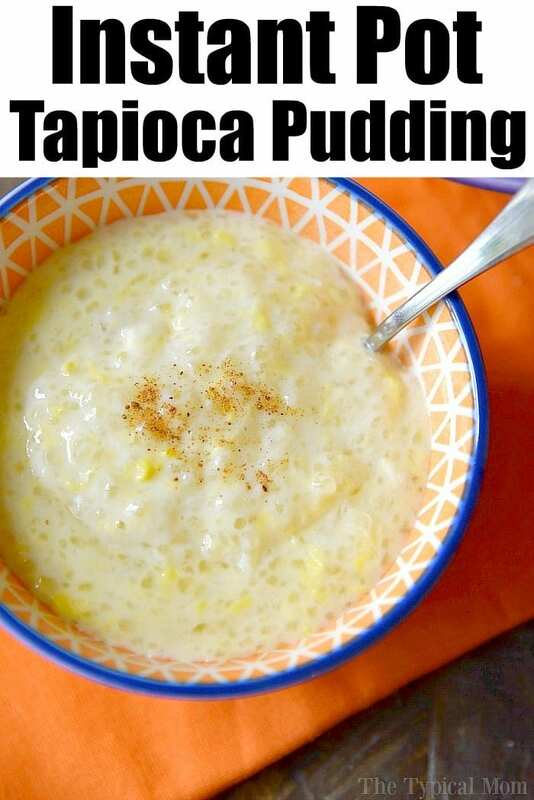 My Instant Pot rice pudding is probably the most popular sweet pressure cooker recipes on The Typical Mom. When you make it you will see why everyone just raves about it. You can also make it dairy free if you need to and use almond milk. This year since my crockpot breakfast casserole recipe was so popular I decided to make it in my pressure cooker. It came out really yummy! From brunch to dinner, to dessert the Instant Pot has been a great addition to our family meals. This pressure cooker roast beef is great. 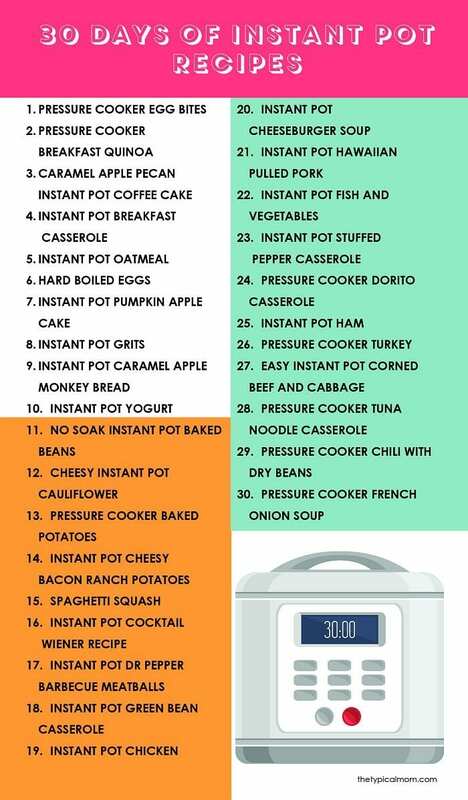 If you have a favorite crockpot meal you can read here on slow cooker vs Instant Pot how you can convert the times so you can make them faster in your pressure cooker. 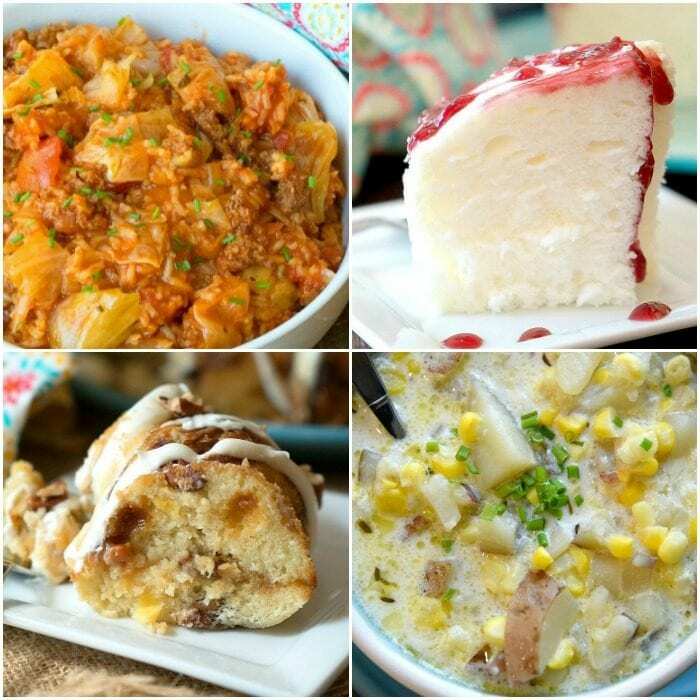 There are healthy Instant Pot meals, breakfast ideas, and desserts listed below that we have created and love! 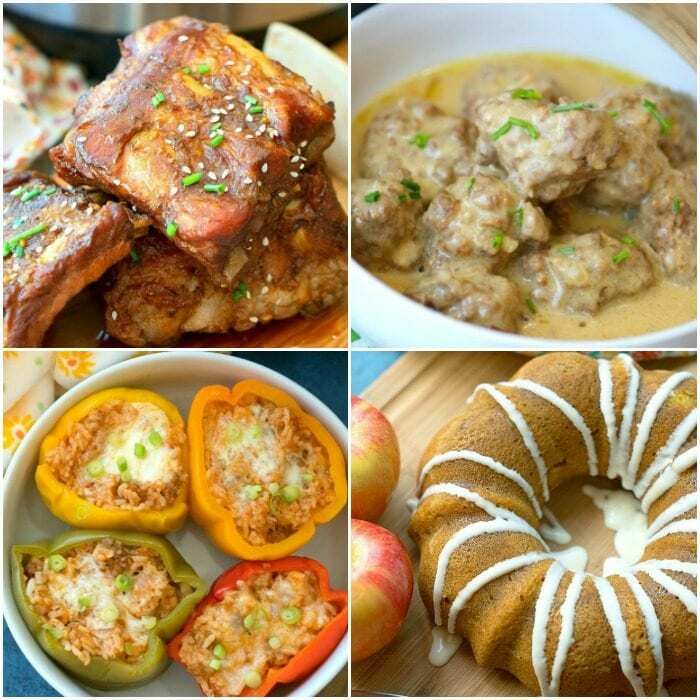 If you are looking for chicken, beef, or pork we have it all those Instant Pot recipes here! If you ever do forget about a dish and leave it in for too long, look at my tips on how to clean your Instant Pot on the inside and out. 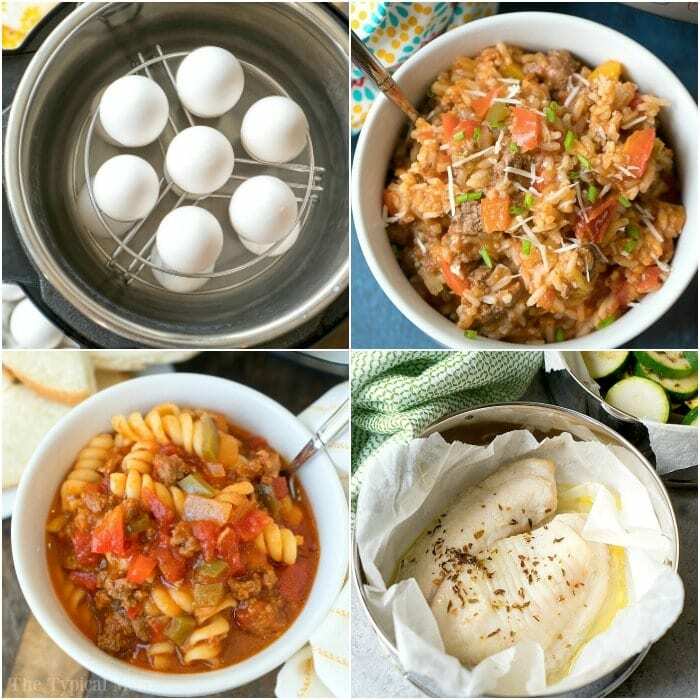 If you’re new to the pressure cooking and Instant Pot world I would try one of my REALLY easy Instant Pot recipes like spaghetti or my whole chicken recipe. In the winter months I’ve been busy creating tons of Instant Pot soups. They are all great but my Instant Pot split pea soup is probably my most popular and healthy too! A really inexpensive meal with just veggies and broth (or water) and presto, it’s done! It isn’t one I would start with though as if it may discourage you because it’s more complex than others. The first dessert I made was my rice pudding, and then I made pressure cooker brownies (both links are above). 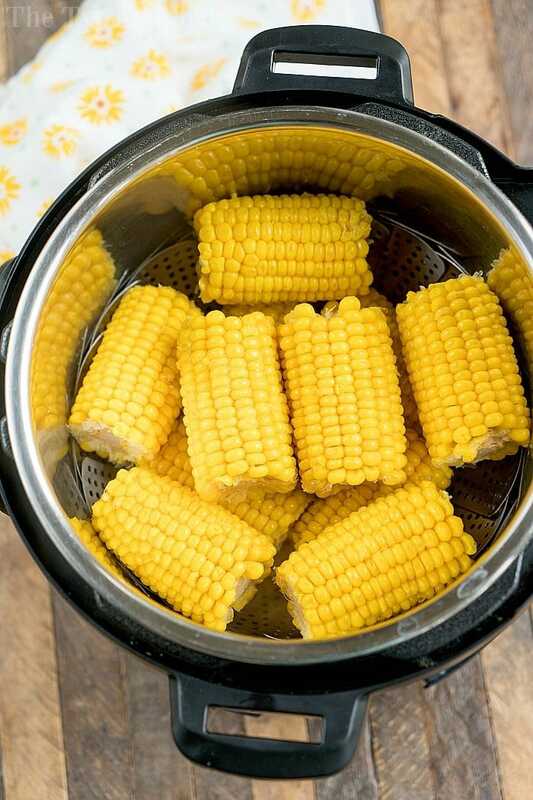 It’s a great way to cook during the summertime without heating your whole house up! Pressure cooker brownies are like flourless cake! Use this pressure cooker apple pie filling recipe and make a ton of Instant Pot desserts! 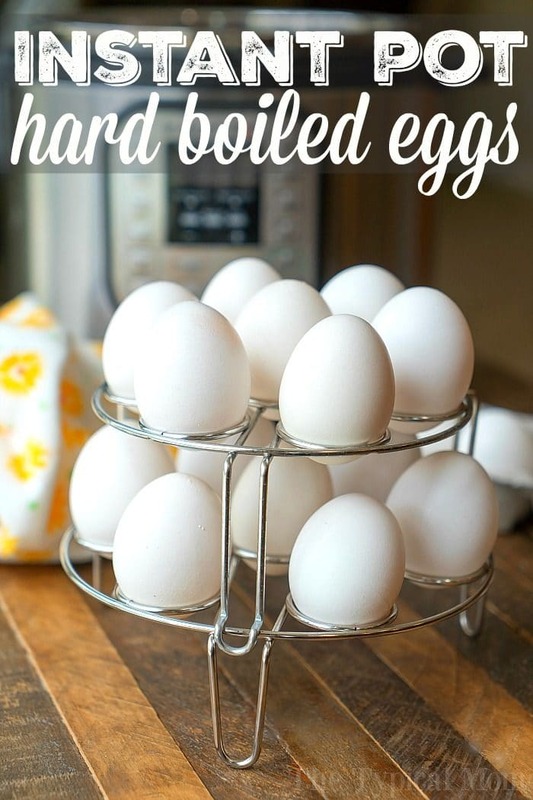 Here are some Instant Pot roundups that are helpful if you’re looking for a specific type of recipe, and this craft on how to dye Easter eggs in your Instant Pot is fun too. 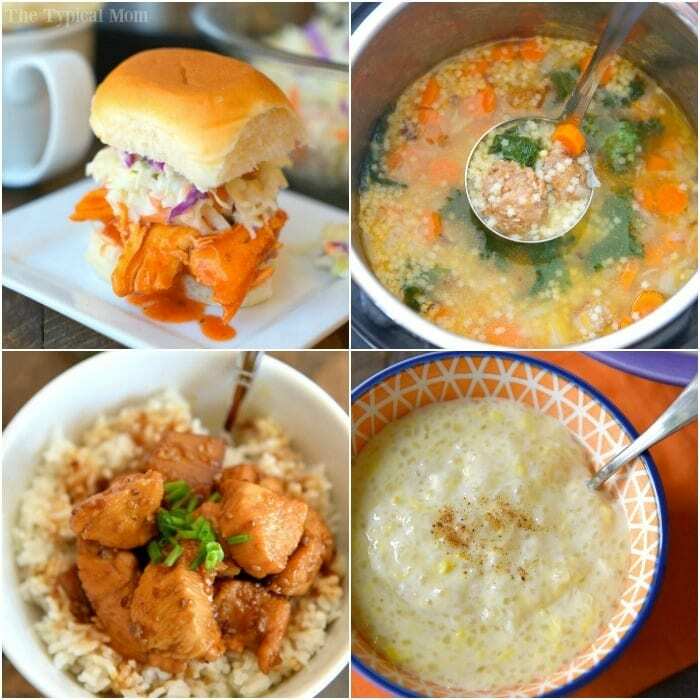 Here are a few more easy Instant Pot recipes from other bloggers I’ve enjoyed. 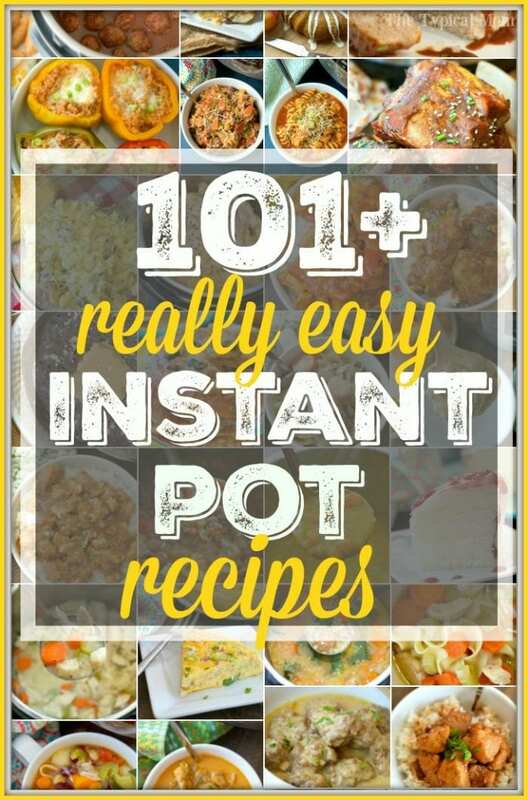 If you have created other easy Instant Pot recipes you love let me know…I’d love to try it and share it here for others to enjoy too!